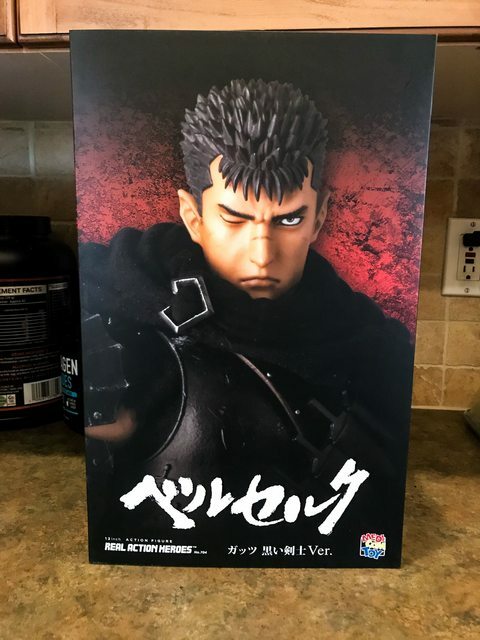 So I wanted to start a thread where I could share my slow, but ever-growing Berserk collection. 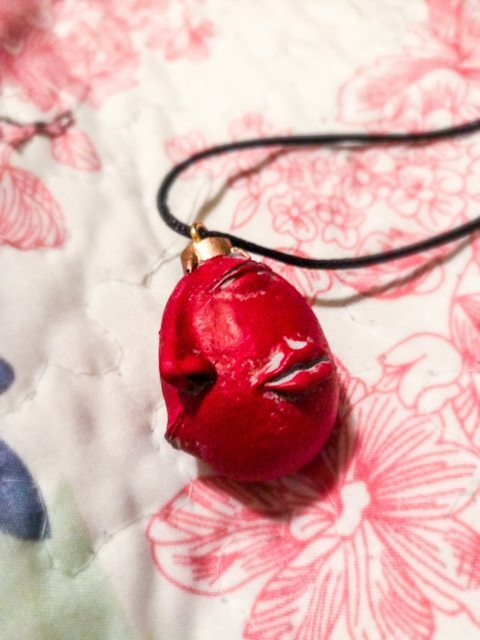 I've got a lot of items pre-ordered or commissions-in-progress that I can't wait to add. But for now, here's the start. 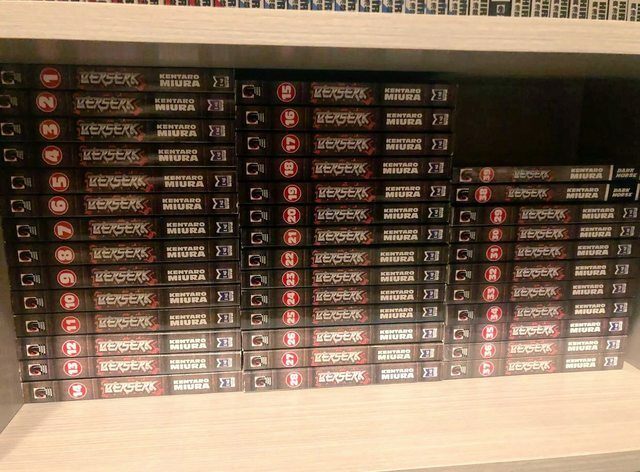 Of course, have to showcase the manga. 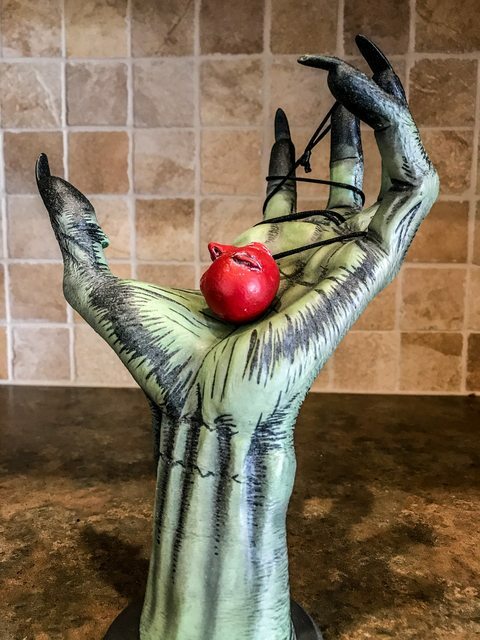 This is actually a picture from a seller on eBay. I was able to secure all volumes (previously only owned a few, read the rest of the manga digitally) for a VERY fair price!! I can't wait to get all of these on my shelf. 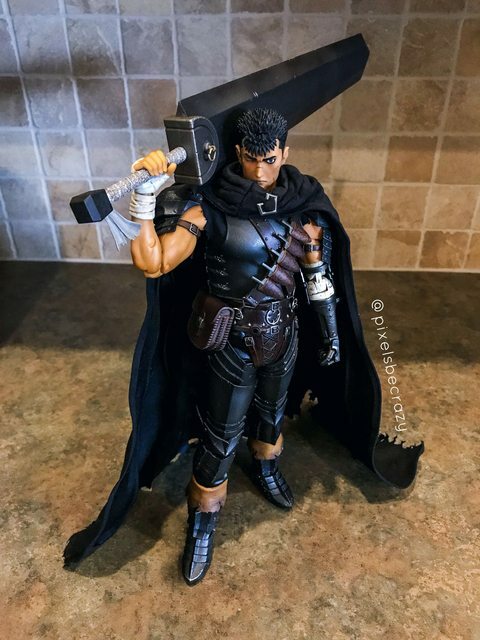 Next, I have, and adore, the 1/6 Scale Medicom Real Action Heroes (RAH) Guts. 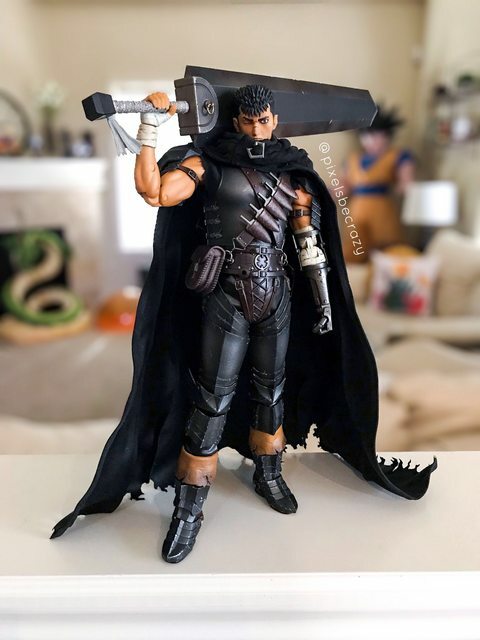 I think they did an amazing job - I do prefer him over what I have seen of the ThreeZero Guts. Especially concerning minor details in the armors realism and the headsculpt. I am still hunting for a good deal on the Golden Age RAH Guts. I do not (yet) own any of the AoW Beherits.. BUT.. 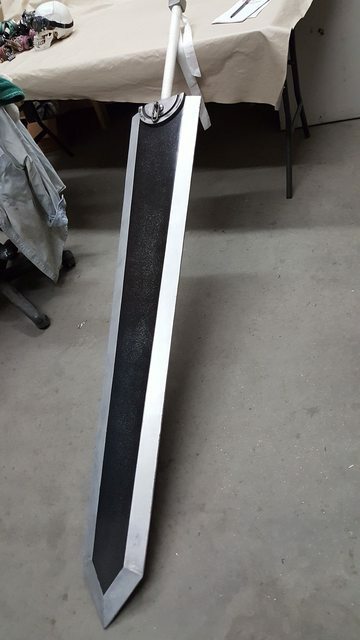 I did get one commissioned to go with a lifesize God Hand so that I could display the Beherit in the hand. I think these items came together nicely. 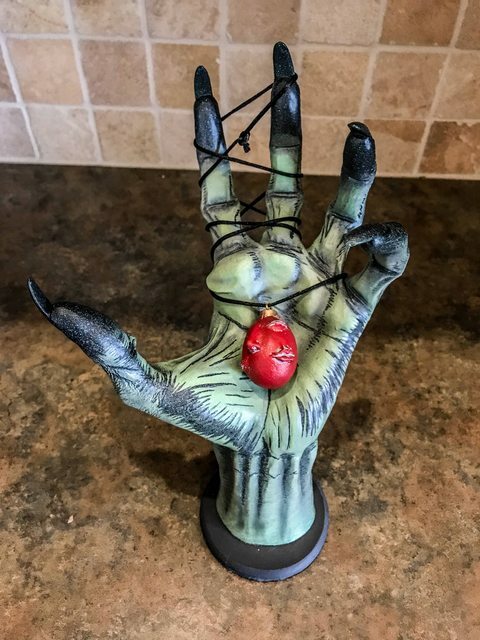 The hand is actually a customized Guitar Grip - so it can either just sit like I've photographed, or I can hang it from the wall so that the hand is coming through the wall and dangling the necklace. Undecided at this point how to display it best. Also waiting until other (licensed) Beherits I have ordered arrive. Then, lastly, are two more pieces that I've commissioned and do not yet have in my possession. 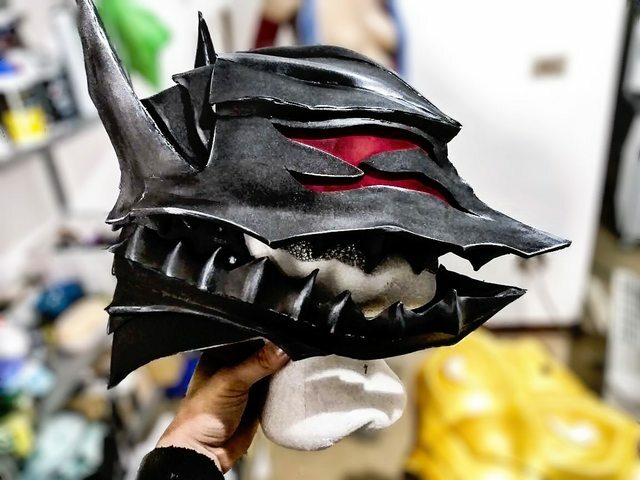 One is still very much a work-in-progress, but it is a 1:1 scale helmet from Guts' Berserker armor. And the other is a lifesize Dragonslayer. I think they both are looking fantastic, and can't wait to get them to add to my display. 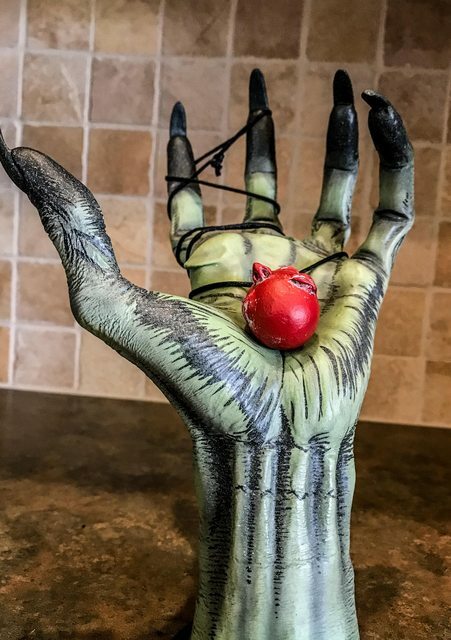 Second of all, the God Hand / beherit holder is AWESOME!!!!! That's so creative. Well done!! Narin Studios just started producing/selling something similar but I like the paint job on yours a lot. More true to the original. I can't wait to see what else you cook up. Thank you for sharing! Thank you! I'm excited to get a lot of my larger pieces done so I can finalize the display area in my home. 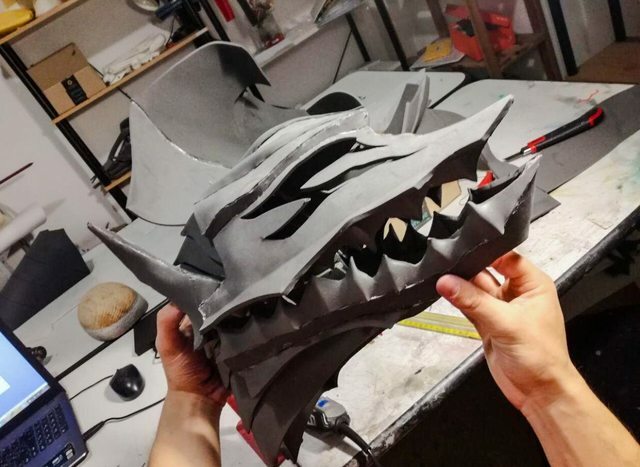 Update from the maker of the helmet. I think it's looking pretty good! I requested a few touchups. But overall.. I'm quite pleased. 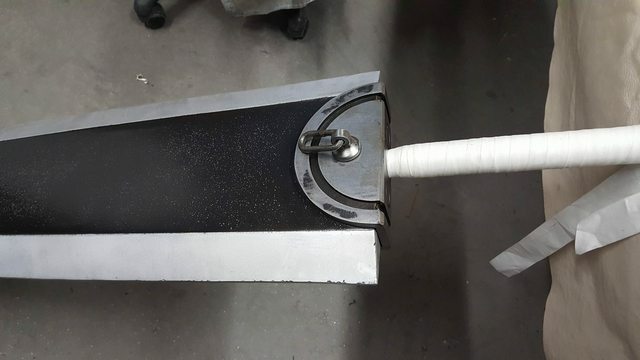 Other good news.. the Dragonslayer shipped out and will be here Thursday! I cannot WAIT. Since I don't think there is a way to embed tweets, I'll just link to it. But the dragonslayer arrived and it's a BEAST. Got a video of it, still trying to figure out the best way to showcase it with photos where they actually do it justice. Nice work for sure. Looking forward to see the full thing (armor + sword).